We continue to introduce the practice of holding architectural competitions as an effective tool for urban development in Ukraine. The educational platform CANactions and RIVERSIDE / SAGA DEVELOPMENT in partnership with the Perfect Group are announcing a commissioned International Urban Design Blitz-Competition titled the Concept of New Public Space for New Podil in Kyiv, Ukraine. Format: The Competition is held as a commissioned one-round international urban design blitz-competition. The total of 5 expirienced foreign teams are taking part as the participants. Podil is an important historical Kyiv district where the majority of the historical monuments are located. 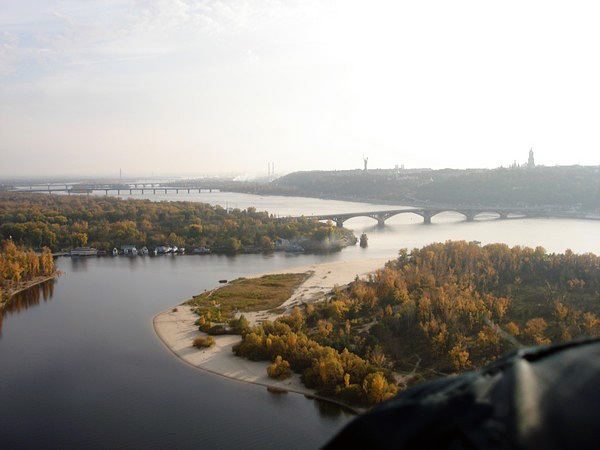 Most of the walking pathes cross the Podil yet not being integrated and organized along the Dnipro river and other picturesque Podil areas because of limited by former industrial zones access. Nowadays, private companies set up for erecting mixed-use residentional areas on the former industrial plots, despite the fact that the existing recreational, public and tourist infrastructure remain unintegrated into the overall spatial context. 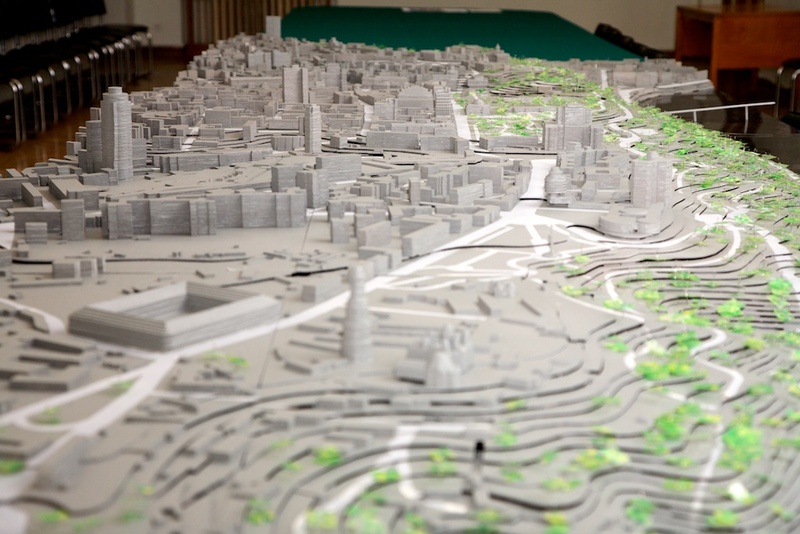 In order to solve this issue it was decided to hold a competition for the best development of the public space of New Podil concept , which will become a catalyst for the new use of these territories and will allow its organically integration into urban fabric. To identify the best project offers of comfortable public space of New Podil, which will meet the needs of the territory users and activate a new district as well as to propose a number of new connections that will integrate the new district into the urban fabric. ■ to offer solutions that can be transformed for different activities and formats of use in the summer and winter seasons by all the population groups. 20-21.04.2018 — exhibition of the projects at the International Architecture Festival CANactions 2018. The winner announcement and projects exhibition will take place in frame of the CANactions International Architecture Festival 2018 in Kyiv on April, 20-21. The Competition aim to identify the best proposal of an engineering and architectural design of the pedestrian and bicycle bridge between the parks Khreshchatyi and Volodymyrska Hirka in Pecherskyi and Shevchenkivskyi districts of the city of Kyiv. pedestrian and bicycle bridge between the parks Khreshchatyi and Volodymyrska Hirka. Project sector belongs to central planning area of Kyiv city, located within boundaries of Pecherskyi and Shevchenkivskyi administrative districts half kilometre away from Maidan Nezalezhnosti. It is located at the break of Kraika: main tourist route along the banks of the Dnieper river on the break of relief with faraway landscapes and divides two parks: Volodymyrska Hirka and Khreshchatyi. ■ Alexander Bouryak - Ph. D., Professor, chair head in Kharkov National University of Civil Engineering and Architecture. ■ Bondar A. - coordinator of strategic initiative "Dnieper Pearl", head of the decoration department and Landscape architecture in the Department of Urban planning and Architecture. ■ Priymak V. - principal architect of an architectural bureau "ArchiDesignbureau"
■ Lishanskyi E. - director-General of the Institute 'MiskCivilProekt"
■ Novikov A. - partner of the consulting company "Dialog -classic"
The aim of the Competition is to define the best proposal and authors for the preservation and development of Kyiv Islands. ■ to consolidate the efforts of the authorities, experts and general public and set a precedent of their transparent and fruitful collaboration. ■ Jan Neuteling - "Neutelings Riedijk architecture" / The Netherlands. ■ Malenkov R.- director of "Centre of ecological monitoring"
Open international architectural competiton "Urban Landscaping in Kyiv within the Framework of Preparation for Euro-2012"
Architecture and Urban Design are launching a Competition for the best urban landscape design of the central area of Kyiv within the framework of preparation for UEFA Football Championship – Euro-2012 and for more distant future. The Competition is supported by Canactions international youth architectural festival, National Union of Architects of Ukraine, Architectural Club. The Competition aims to define the best urban landscaping design and its authors, guided by the principles of sustainability, and to provide necessary conditions for its realization. ■ to provide conditions for the realization of the winning project. unique landmarks of Kyiv landscape – the Dnieper slopes, the edge and the parks.